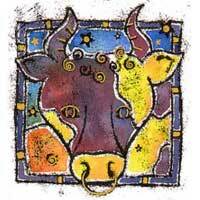 If you are involved in a relationship with a Taurus, there can be problems regarding work and beauty. Your ideals are high and the methods you have in order to help others are not exactly the right ones. With Taurus you have a desire to produce beauty, to create a harmonious atmosphere. Put together, the signs are neutral, but it's all about a basic attraction. For a while this combination is the right one. 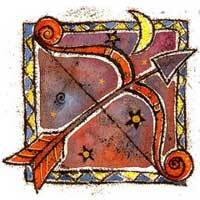 You, Sagittarius are an idealist and Taurus is practical and decided - all these can lead to equilibrium. Together you can make the perfect combination if each of you comes with the right quantity. You can rely on Taurus and depend on him. Actually you can end up demanding too much from him. He will make sacrifices and make your life more comfortable. He is your opposite, as Taurus is not constant and always changing. Because of that you might think he is perfect. In the end he will get tired and leave if you ask too much of him. To have a relationship with a Taurus, you might forget aspects of your past. It's not always easy for you. But in this case it might be worth the effort. Taurus will help you take care of yourself and put your thoughts into action using your talents in a more practical way. It could be a fertile relationship, especially about your long term, future projects.